Previously on the Review, Keith Olbermann's criticism of Fox "scrubbing" Glenn Beck's transcripts was analyzed and called out for its inaccuracy. (Beck ad-libed a lot while the "transcripts" Fox published were what Mr. Beck has in front of him to read.) In this case, Mr. Olbermann does not bother pointing out how absurd Beck's idea of leftist collaboration with Muslim extremists is; instead he falsely mocks Beck's intelligence. BB brain or just an ignorant propagandist? 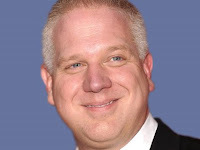 Although Beck has many ideas that are absurd, ignorant and sometimes flat-out dumb, he is not in the view of his biographer, Alex Zaitchik, a "B B head." Mr. Beck can be criticized for many reasons, but he is no dummy.